Greetings in the Name of our Lord God and Savior Jesus Christ! On behalf of the entire parish family, welcome to the website of Holy Resurrection Orthodox Church! 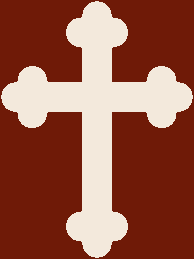 Holy Resurrection is a parish of the Antiochian Orthodox Christian Archdiocese of North America. Our congregation is comprised of people from many ethnic backgrounds all who share a Biblical love for, and commitment to, the Holy Trinity: Father, Son and Holy Spirit. “Antiochian” refers to the city of Antioch in the New Testament where the disciples of our Jesus Christ “were first called Christians” (Acts 11:26). The Orthodox Christian Church confesses the faith delivered once for all to the saints. That faith is lived out in her worship, her doctrine, her Church government and her spiritual life. We maintain a continuity of worship which originated in the teachings of our Lord Jesus Christ as revealed through Holy Scripture and by the Church that has believed, taught, preserved, defended and died for the Faith of the Apostles. All our services are in English. We are family-oriented, child-friendly, and committed to worshiping God the Father, Son, and Holy Spirit with the humility and reverence the Church has always expressed in her worship. We extend a warm invitation to visitors of any faith to come and join us for our services and see the original Christian worship in the beauty of holiness that is 2000 years old, and remains relevant today!